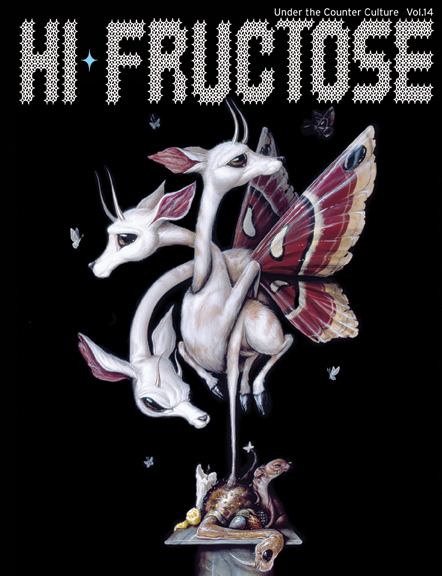 Hi-Fructose Magazine will be releasing their next issue this coming January 2010. Cover artist Greg “Craola” Simkins (featured) has an exclusive interview and sketchbook sneak peek, alongside other artists such as Skinner, Gregory Euclide, Jesse Hazelip, Van Arno, Lola and many more. 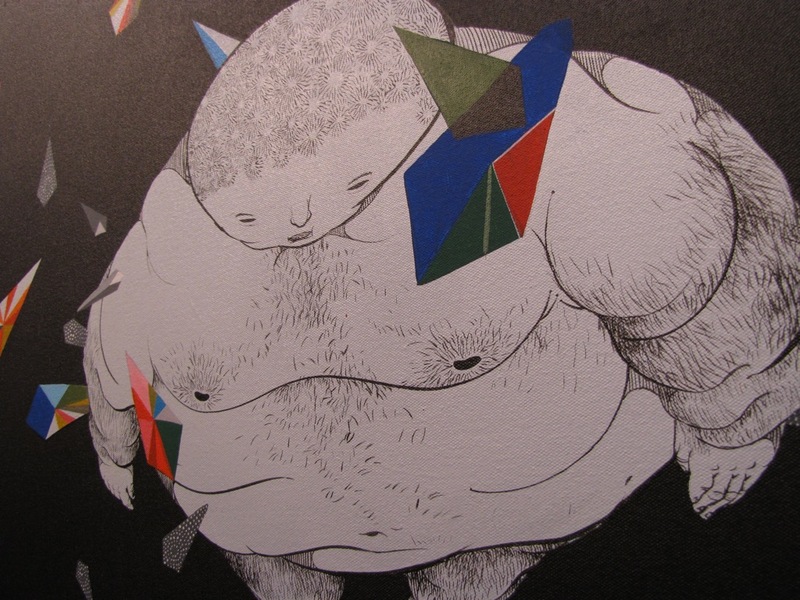 Volume 14 will be made available sometime in the next few weeks through your local retailer or online through Hi-Fructose. Preview pics after the jump. 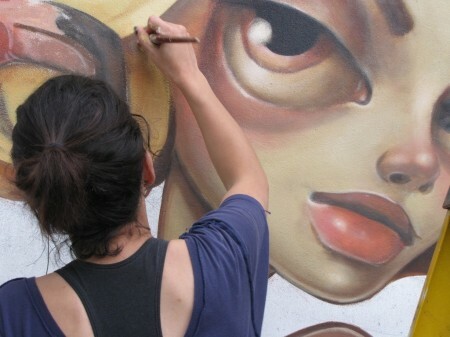 As Jeff Soto (covered) was busy creating his contribution to this year’s Primary Flight, AM favorite Ron English was busy working on a mural of his own. Another rendition of his classic “Guernica” tribute, Ron’s hand painted masterpiece features many of his most identifiable characters. As an added bonus, Ron put up some new, colorful wheatpastes, something we haven’t seen him do in quite a while. More pictures after the jump. 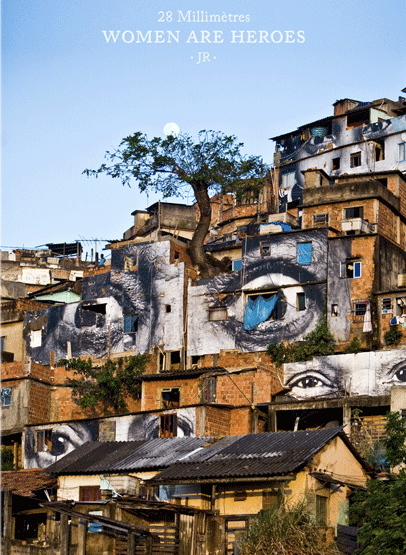 French photographer and street artist JR just announced the release today of his “Women are Heroes” book. In addition to following JR’s international exploits and wheatpastes, this book also focuses on his subjects – the women of Africa, Asia and South America, offering their personal testimonials to the public for the very first time. “Women are Heroes” is now available through Crakedz. More pictures after the jump. 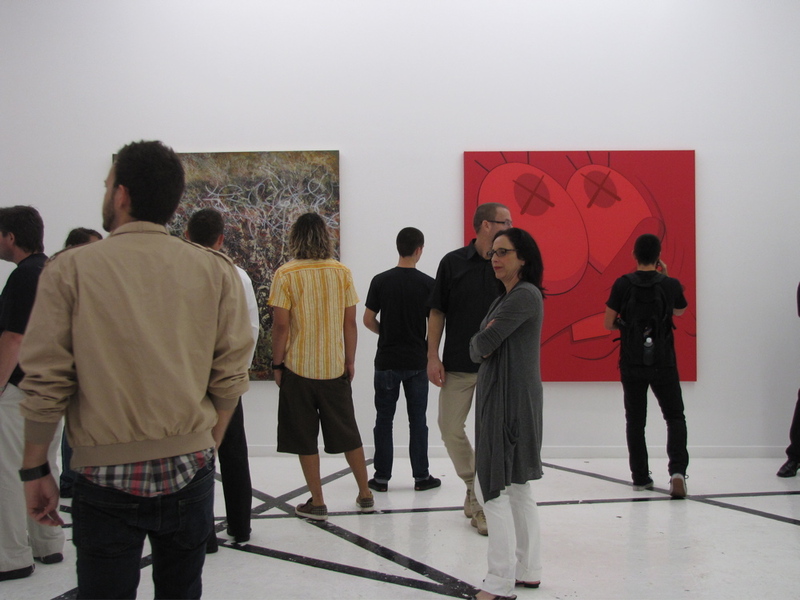 To kick off Art Basel, Miami staple OHWOW Gallery opened two ambitious shows last night – the group effort “It Ain’t Fair 2009” as well as David Lynch, Sparklehorse and Danger Mouse’s “Dark Night of the Soul.” With heavy hitters such as Kaws, Barry McGee and Jose Parla, combined with David Lynch’s photography and Danger Mouse’s music, OHWOW has further cemented themselves as the leaders in the Miami art scene. More pictures after the jump. 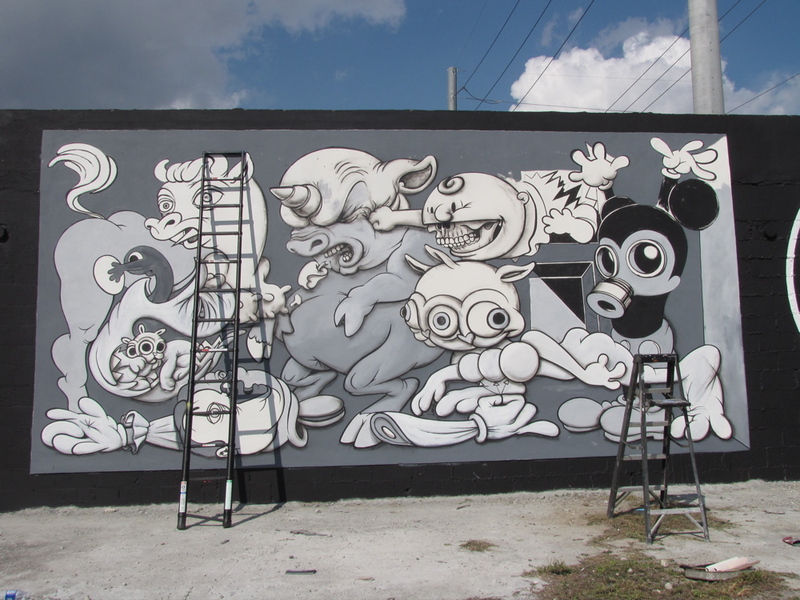 AM swung by Deitch Project’s Wynwood Walls early yesterday to check out the massive mural installation, still in progress. 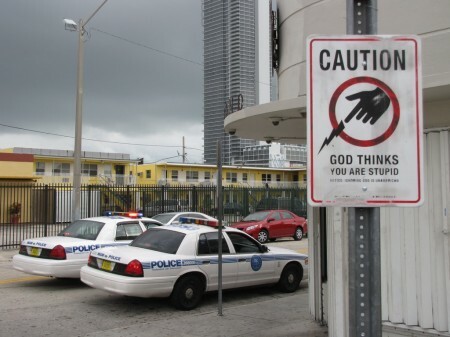 Upon arriving at the complex, we were greeted by Martha Cooper (interviewed) who was busy taking shots of Futura, Shepard Fairey (featured), Os Gemeos and Kenny Scharf as they were busy installing their massive murals. With additional pieces by Aiko, Barry McGee and Swoon (interviewed), expect Wynwood Walls to present an impressive showing later this evening. More pictures after the jump. The ever evolving street artist Above (interviewed) has just released in his online store a stunning new print of his Valentines Day image from earlier this year. 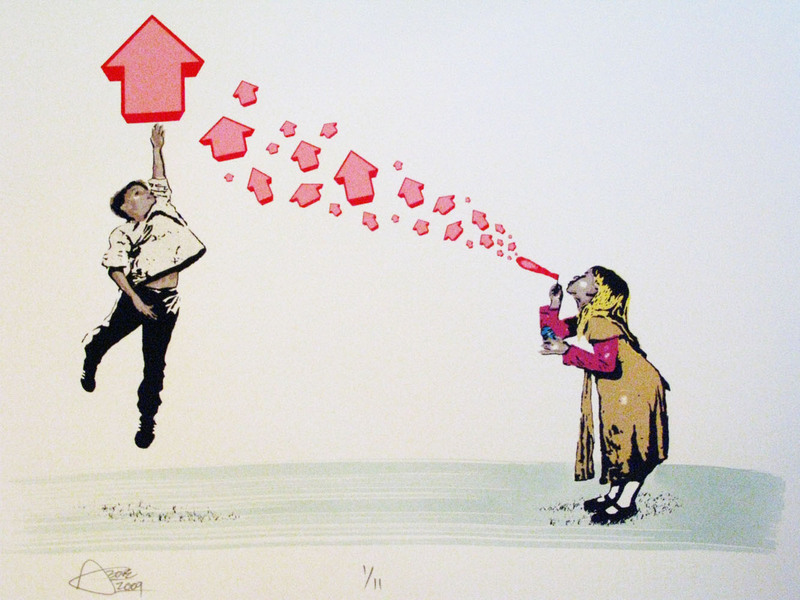 Composed of 12 colors, this screenprint measures in at an impressive 22″ x 30″ (55cm. X 76cm. ), comes hand embossed, numbered and signed. With two variants accompanying the release (the hand embellished one is already sold out), expect there to be something for any Above fan. Pictures of the variant editions after the jump.